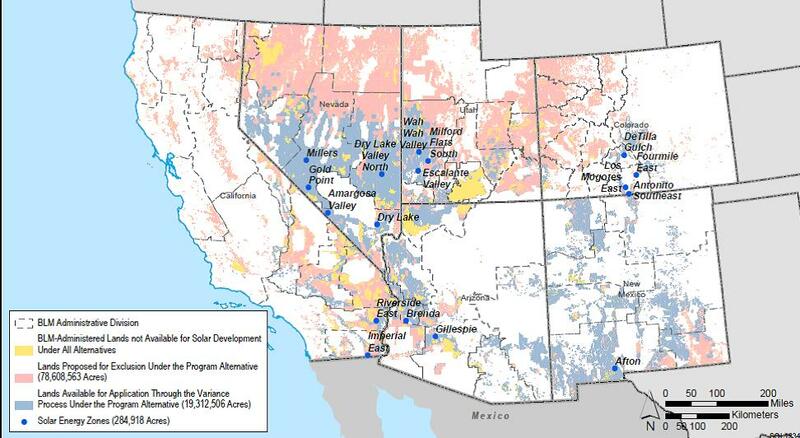 There are two Solar Energy Zones on BLM lands approved for Arizona, as part of a federal roadmap for utility-scale solar energy development on public lands. NJ State offices are still closed. The Survey building has no power. Lots of downed trees & wires are hampering recovery operations. Tomorrow they hope to officially re-open but reporting to an emergency location with power. A magnitude 3.4 earthquake hit just before 1a.m. this morning about 22 miles NNE of Morenci, in eastern Arizona. This is the fourth earthquake of roughly this size plus a number of smaller ones in the area in the past three weeks. Our seismic network manager, Dr. Jeri Young, says the only known fault in the area is the Alma Mesa fault system to the east. However, there is a strong west-east lineament near the ML 4.1 location. 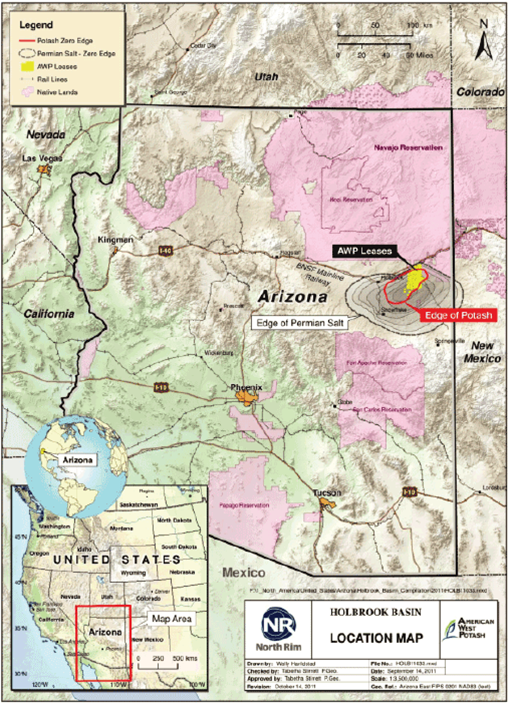 American West Potash (subsidiary of Prospect Global Resources) permitted 10 more exploration core holes in the Holbrook basin last week (AZOGCC permit numbers 1120-1130). 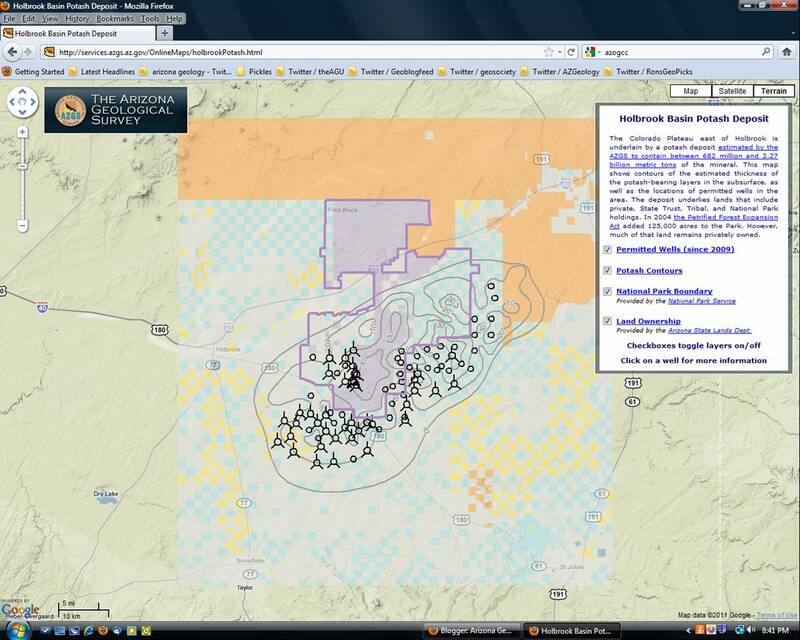 [Right, AZGS potash core hole viewer] The holes are permitted by the Arizona Oil & Gas Conservation Commission because they penetrate potentially oil or gas bearing horizons. This adds to a week of numerous announcements from the company, including word that a Chinese company signed a deal to buy 5 million tonnes of potash over a 10-year period for an estimated value of $2.375 billion, news that a private fund invested $100 million in the company, and that PGR would be issuing stock to raise the money needed to put an underground mine in operation by 2015. BHP Billiton may put the Pinto Valley copper mine up for sale, according to a report from Financial Times. The paper says BHP is shedding smaller, lower-priority assets. The Pinto Valley mine is described as having a limited mine life with "uncertainty as to whether it will return to full production." The paper says production capacity is about 60,000 tonnes of copper per year and suggests the mine might fetch less than $1 billion. BHP announced in February that the mine would be hiring 650 and resuming operation by the end of 2012 as a result of a $195 million reinvestment in the facility [right, Pinto Valley mine]. Prospect Global Resources announced signing of an agreement with Sichuan Chemical Industry Holding (Group) Co., Ltd. for more than $2-billion over a 10-year period, under which Sichuan will purchase at least 500,000 metric tons of potash annually, or 25% of the projected output of Prospect Global's American West Potash field in Holbrook, Arizona [right, credit American West]. 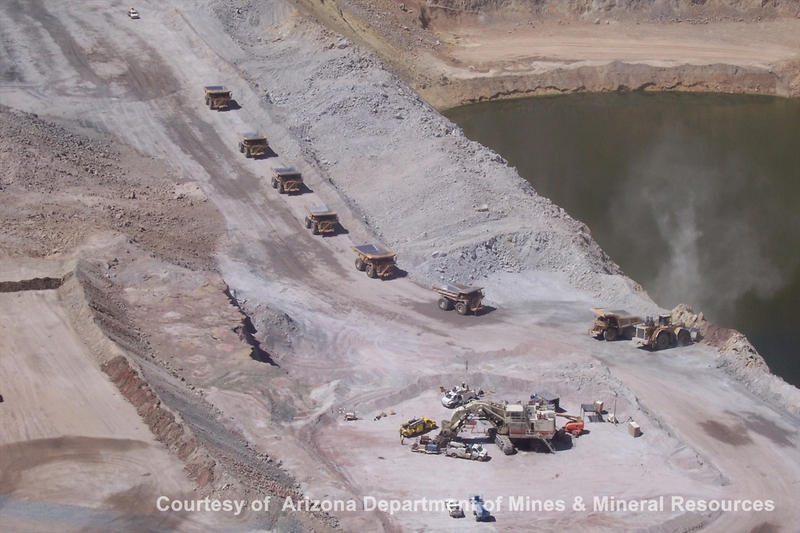 Prospect says "The conservative deal valuation reflects current market prices of about $475 per metric ton for a total of 5 million metric tons. The contract is take-or-pay, backed by a letter of credit. The agreement also provides an option for American West to sell and Sichuan Chemical to purchase an additional amount of potash." By my calculation, the agreement is worth $2.375 billion. Financial news sources are reporting on the agreement, which Prospect believes is "the largest-ever purchase and sale contract - in price and volume - for a potash mine under development in the United States. It is also believed to be one of the largest potash export contracts in U.S. history." AZGS volcanologist and Extension Service Chief, Mike Conway reports that about 75 geoscientists – volcanologists, seismologists, geochemists and volcanic hazard specialists – and 10 individuals from the emergency management community met on October 18-19 at the USGS complex in Flagstaff to explore laying the groundwork for managing a low probability-high consequence volcanic event in the southwestern U.S, from precursory activity through eruption and recovery. Jake Lowenstern (USGS Yellowstone Volcano Obs.) chaired the meeting. Talks on Thursday and Friday were tailored to inform the emergency management crew of volcanic processes observed in Quaternary volcanic fields in the Southwest US. The emphasis was on small-volume, basaltic eruptions, but there was some discussion of silicic volcanism (more explosive type) of the Jemez volcanic field in New Mexico. There was considerable discussion on our collective capability – i.e., lack thereof - to recognize the precursors of a small-volume, basaltic eruption. The NEIC (National Earthquake Information Center ) representative said they can identify ~M4 and above events, but unlikely to be of much assistance at the ~ M1-3 range, which is the range of seismic events likely to accompany rising basaltic magmas. The consensus of seismologists was that given the present state of seismic monitoring, it would prove difficult to identify and correctly interpret the low magnitude seismicity that might presage a small-volume, basaltic eruption. Among the action items that came out of the conference are a proposal to run a table-top emergency response exercise involving a violent Strombolian-type eruption in the eastern part of the San Francisco volcanic field, and to look for funding to model the impacts of a violent Strombolian-type eruption on northern Arizona, and the skies overhead - the real issue. 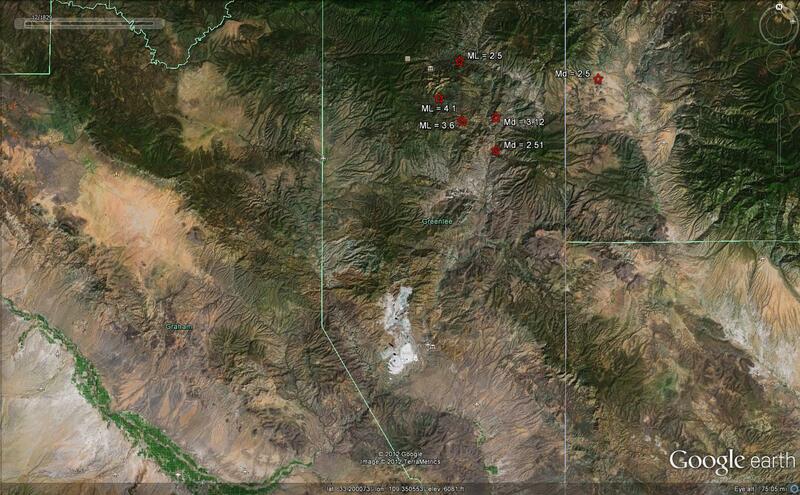 The San Francisco volcanic field (SFVF) is a natural. Another idea is to examine the potential impacts of an eruption in the Uinkaret volcanic field. While even more remote than the SFVF, cinder cones of the Uinkaret have dumped basaltic lavas directly into the Colorado River at Grand Canyon on multiple occasions. While the probability is low, the consequences of disrupting the water source for 20+ million people is dire. AZGS Extension Service Chief Mike Conway provided this summary report on last week's Great Arizona ShakeOut earthquake exercise. Media Reports of ShakeOut. Arizona ShakeOut was reported in newspapers, radio, TV and social media. 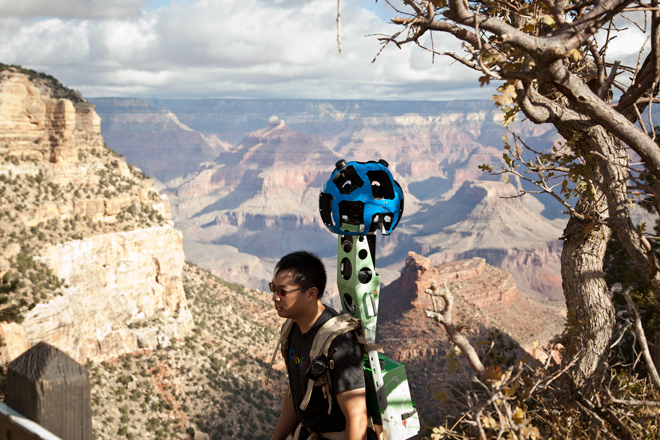 A Google Alert for “Arizona ShakeOut” identified nearly 20 media pieces from media outlets in Yuma, Prescott, Flagstaff, Phoenix, Tempe, White Mountains and Tucson. “Google Alert” is, unfortunately, an imprecise tool that underreports radio, TV and social media, so it is a fair assumption that a number of news articles went unreported. ShakeOut 2013. Planning for ShakeOut 2013 will begin in early 2013. Our chief goal will be to markedly increase the number of K-12 student participants and to further engage the public, business community, tribal communities, and local, state and federal government employees. Some ideas for improving ShakeOut 2013 are bulleted here. If you have other ideas, please send them along and they’ll be added to the list. · Establish which schools, business, or other entities willing to allow news media filming of the ShakeOut. · Canvas select ShakeOut participants for their experiences – What went well? What could be improved?. · Reach out to other ShakeOut organizers in western U.S. for ideas for enhancing ShakeOut. · Engage science educators to use ShakeOut to promote earth science literacy. Last, my thanks to all of you for contributing to a successful ShakeOut. The simple “Drop, Cover, and Hold On” exercise can reduce injuries and save lives, and you all played a role in making Arizonans more earthquake savvy and safe. 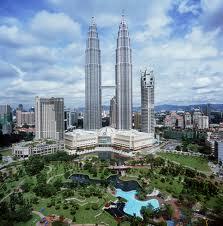 Day 2 of the National Data Repositories will be getting underway in a few hours here in Kuala Lumpur, Malaysia. There is a record turnout of 180 participants from 30 countries but I'm the only U.S. representative who is not from a private company providing data management services. The meeting is taking place next door to the Petronas Twin Towers, headquarters of meeting host Petronas, the national resource company [right]. I arrived in KL on Saturday after a 30+ hour trip via Hong Kong. My travel is funded by a grant from Columbia University's Lamont Doherty Earth Observatory as part of a project to develop and deploy the new International Geo Sample Numbering (IGSN) system and organize a U.S. workshop to bring together core and sample repository managers to share best practices and develop common standards and procedures to better curate and preserve our often irreplaceable samples. 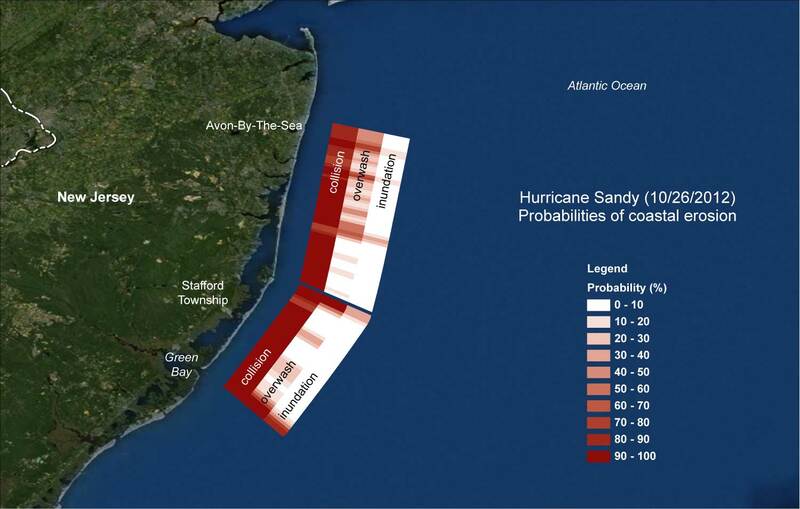 The problems we are facing in the US are much the same as those for every country dealing with geological samples and data with one major difference. The US does not have a national data repository either for data or samples as many here do. Much of the data and samples we are discussing are from resource exploration and development especially petroleum which is largely managed at the state level in the U.S. The LOI, which is non-binding, is an outgrowth of the access and information sharing agreement signed between the parties in March 2011, and authorizes the engineering firm, ERCOSPLAN, to combine the Hopi and Passport land sections in the upcoming Preliminary Economic Assessment (“PEA”) commissioned by Passport, and lays the groundwork for potential joint exploration and development of the potash resources in the Holbrook Basin. The LOI further witnesses the intent of the parties to jointly explore the contiguous land sections to determine their combined economic potential. The exploration program will be based upon recommendations from ERCOSPLAN and purposed to maximize the potential resource on the combined properties. The parties also intend, based on the geologic findings on the properties, to proceed towards negotiating a definitive mining development agreement (“MDA”) between the parties, and further agree to conduct the MDA negotiations in good faith with an understanding that time is of the essence. The inclusion of the private properties owned by the Hopi tribe in the PEA will necessitate delaying the release of the PEA for 60 to 90 days to allow ERCOSPLAN to incorporate the Hopi data. The PEA will be addressed to and owned by both PPI and the Tribe, who shall each be entitled to use and rely on the PEA for both their joint and individual purposes.